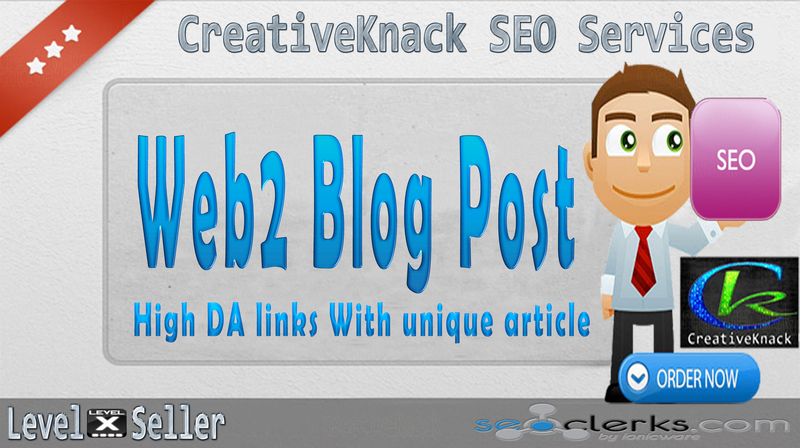 High quality Web 2 Blog Post With unique article which will boost your website rank and SERP,all from authority sites. 100% Unique niche related article will posted(with free niche relevant unique article). 100% Google Panda/ Penguin Safe Service. 1-3 links per order,with 3-5 keywords. Just need your links and keywords only and you can also provide your own article. Always deliver more then extra links as a bouns. Let me know if you have any question about the service. 30+ High PR Web2 Blog Post With unique article only is ranked 5 out of 5. Based on 171 user reviews.